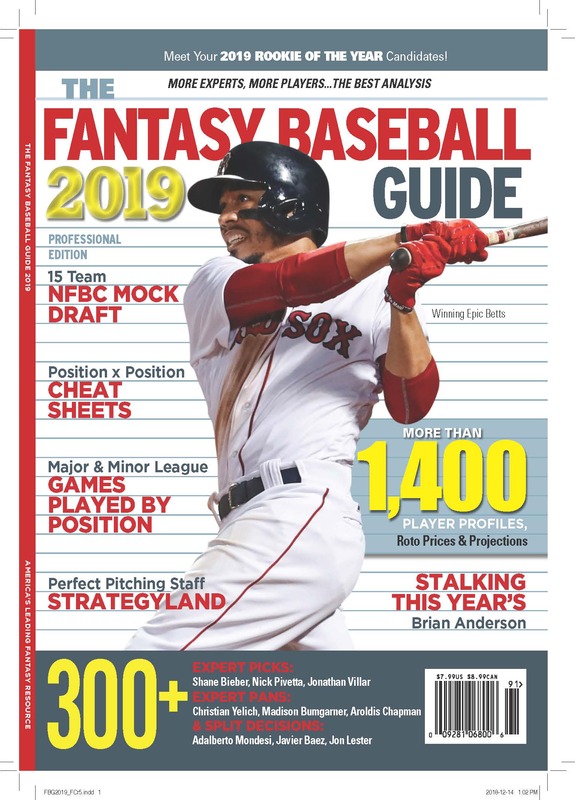 I’ve been writing about how to put together the perfect pitching staff the last few years, both here and in the Fantasy Baseball Guide. The word “perfect” should be in quotes, this is a high-risk strategy this is going to fail until it works, but the idea is simple. There are $1 starters and relievers who are out there who can help win you a pennant. But you have no idea who they are. If you did, everyone else would, too, and those $1 (or $3) pitchers would cost $8 or $10. So, you have to get lucky to have the perfect staff. You also have to plan. Lots and lots of cheap starters and closers in waiting. If you play in a league in which strikeouts count, try to buy strikeouts, though that is hard. 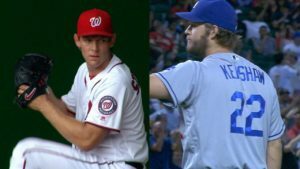 In Tout Wars Head 2 Head this year I devised a plan in which I would buy Runs, OBP, and Stolen Bases on the Hitting side, and ERA, WHIP and K/9 on the pitching side. The idea is to win these six categories each week and have a perfect season. That probably isn’t going to happen. Even with lots of steals and on base guys, I’m sure there will be weeks I play against high powered HR oriented offenses that score more runs. I’m going to lose a few there. with Tyler Glasnow, Corey Knebel, Brett Cecil, Luke Weaver, and Hunter Strickland on reserve. The goal is to get to the league minimum 900 innings exactly, with as high a K/9 as possible, and with ERA and Ratio falling into place behind. Matt Shoemaker 1, Trevor Bauer 1, James Paxton 10, Sean Manaea 10 and Nate Jones 2. If I’m able to add an ace and a closer I should have a powerhouse staff for less than $75. The problem is that in a keeper league many of the best pitchers are already gone. Of the top starters, Sale, Darvish and Tanaka are being kept (so is Porcello), which leaves a lot of teams fighting over Kluber, Archer, Verlander, Carrasco, Quintana, and Hamels. Quintana might be devalued because he’s so likely to be traded. But then he’s worth less because he might be dealt. This is a league that often bids up top starters, so my path to perfection is not necessarily clear, but there may be a way to get there. I’ll find out Sunday.